Grand Canyon University men’s basketball head coach Dan Majerle says that some of his fondest childhood memories include the time he spent at basketball camps. Now GCU is making memories for 50 underprivileged or in-need students, most of them from west Phoenix elementary schools, who want to learn more about the game. Basketball campers get instruction from GCU coaches and players and also get to play pickup games. In a new initiative this year, GCU will award 50 scholarships to its array of boys’ basketball camps next month. Given that the fee for each individual camp is more than $200, that’s more than a $10,000 investment in local kids. It’s another example of the way GCU reaches out to the community. With camps in basketball, baseball, soccer, volleyball and wrestling, the campus will be buzzing with visiting kids on all but one day in June and steadily through July 23. Already there are heartwarming stories of kids who will benefit from these camps. Greg Harman, executive director for academic alliances in the Strategic Educational Alliances department, reports that one school awarded the scholarships to two boys who both lost a parent in the last year. 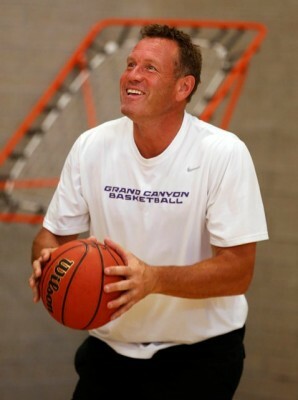 GCU basketball coach Dan Majerle has big plans for this year’s camps. The kids will enjoy all sorts of amenities in the various camps, some of which involve staying overnight in residence halls for a glimpse of campus life. There will be talks by Phoenix Suns players and coaches, an annual staple given Majerle’s ties to the organization as a former star player. All camp attendees get a free season ticket for 2015-16 GCU basketball games and a shot at serving as GCU ball boys. An added benefit this year is that GCU Arena, which was closed for expansion last year, is available again and is back in the rotation with Antelope Gym and the Lopes Performance Center. For the boys’ basketball camps, that means a “Championship Saturday” in the Arena with games and a ceremony. For young basketball players, the chance to play in a college arena is a dream come true. “We’ll do it up big,” Majerle said. All across the GCU camp landscape, the numbers are coming up big, as well. Lee said he expects more than 1,200 kids for the boys’ basketball camps, double last year’s attendance. That includes 55 entries for the team camp. Women’s basketball coach Trent May said his team camp has more than 50 signups, its most ever, and has a waiting list. New men’s soccer coach Schellas Hyndman is fifth on the list of the all-time winningest college coaches and was the 2010 Major League Soccer Coach of the Year with FC Dallas. You think kids might learn a thing or two from him at the university with the only NCAA Division I program in the state? The GCU Soccer Academy will include three separate camps for boys and two for girls. ● Individual Camps (June 1-4, 15-18 and 22-25): Drills, demonstrations, competitions and individual instruction for boys ages 6-14. Guest speakers will include current and former Phoenix Suns players and coaches. The June 22-25 session will be at Scottsdale Community College. ● Team Camps (June 4-6 and 25-27): High school teams play a minimum of five games with a tournament on Saturday. For signup information, click here. ● Team Camp (June 11-13): High school varsity and junior varsity teams each play five games and have access to skills sessions. ● Fundamental Skills Camp (June 19-20): Beginning and intermediate players in grades 7-12 get instruction on how to improve their skills. ● Lopes Prospect Camp (June 22-23): Skills clinics, competitive drills and games for experienced high school players who hope to play at the collegiate level. ● Lil Lopes Skills Camp (June 29-30): Beginning and intermediate players ages 7-12 get a chance to learn the game. ● Summer Prospect Camp (June 9-10): Pro-style workouts, batting practice and games for high school players. ● Day Camp (June 15-19): Kids ages 6-14 of all skill levels get individualized attention. ● Residential Camps (July 12-16 and July 19-23): Skill drills, tactical development and evening games for boys ages 10-18. ● College Prep Camps (July 12-16 and July 19-23): Residential camp for boys ages 14-18 that will provide exposure to college coaches from around the U.S.
● Lopes Premier ID Camp (June 5-7): Residential camp for girls ages 12-19 (junior college transfers also accepted) who want training sessions that mirror NCAA Division I workouts. ● High School Team Camp (June 22-25): Skill development, tactical demonstrations and team-building exercises for high school teams. 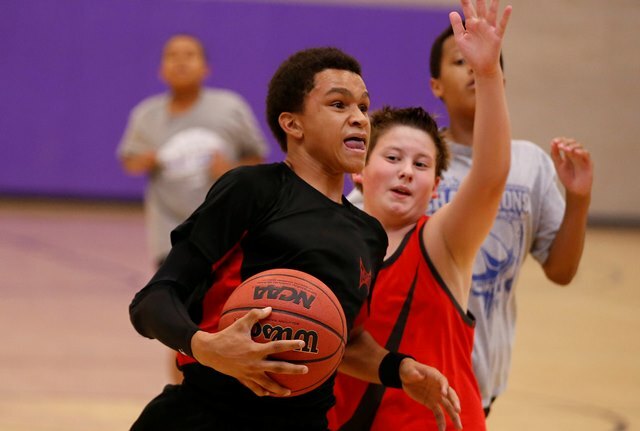 ● Little Lopes Clinic (May 15 and 22): Beginners in eighth grade and younger learn the basics. ● Individual Skills Clinic (May 23-24): Enhancing specific skills for hitters, setters and liberos in grades 7-12. ● Lopes Position Camp (June 7 and 14): Beginning to intermediate players in grades 7-12 improve individual skills and interaction with other positions and players. ● Lopes All Skills Camp (June 19-21): Beginning to intermediate players in grades 7-12 learn the basics. ● Lopes Prospect Camp (July 5-6): For high school players hoping to play at the college level. 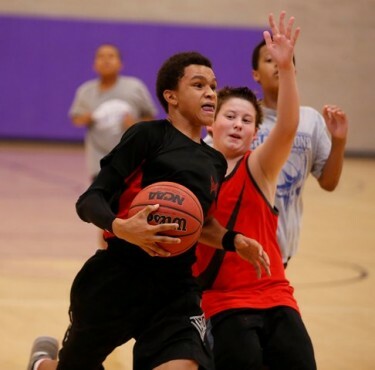 ● Lopes Team Camp (July 7-9): High school varsity teams get a chance to compete against each other. ● Team Camp (June 21-24): Residential camp with 10 dual-meet competitions and eight technique sessions for both teams and individuals in grades 8-12. ● 30-Man Intensive Training Camp (June 28-July 1): Residential camp for serious wrestlers in grades 8-12 who want a comprehensive review of their strengths and weaknesses and a personalized game plan on how to improve. ● Technique Camp (July 5-8): Residential camp for teams and individuals of all skill levels in grades 4-12. It is amazing what GCU is doing for the community! Not only is GCU providing high quality private education for Arizona, it also is developing premier NCAA Division I athletic programs.